Colorado Scale Center offers a variety of large character inkjet technologies from the industry’s top manufacturers to meet your product identification needs. 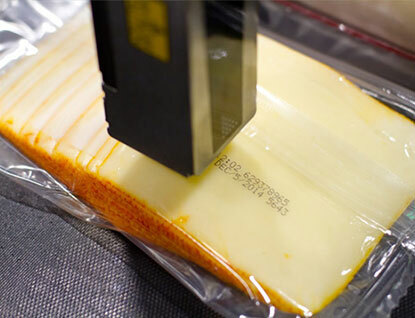 Thermal inkjet offers an economical solution for printing high-resolution characters on a variety of surfaces. 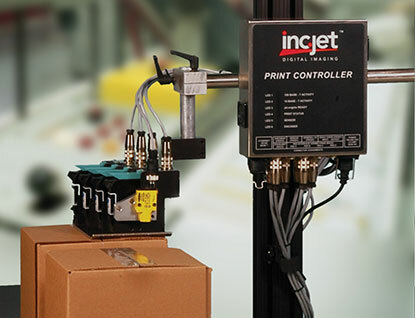 These systems offer easy-to-change ink cartridge systems housed in industrial-grade enclosures for use in warehouse environments. Case decorating and printing has never been easier with high-resolution inkjet solutions from Colorado Scale Center. Trident piezo-based inkjet systems provide the utmost flexibility and reliability for porous printing applications of all types. 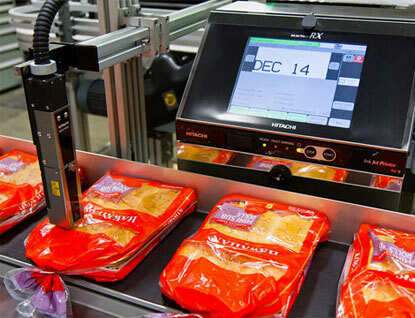 These systems print alpha-numeric characters, graphics and bar codes clearly and crisply with very little maintenance required. 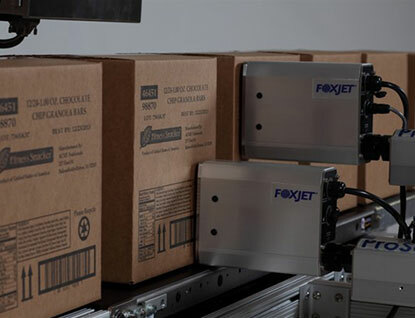 Connectivity options allow for seamless data exchange to suit the most complex production lines as well as simplify the interface with the user. Drop-on-demand inkjet technology is ideal for porous and non-porous printing applications when printing alpha-numeric characters and codes. Colorado Scale Center can help you choose the best solution for your needs and budget. We’ve got you covered! Colorado Scale Center offers a leading line of small character continuous inkjet printers by Hitachi America, Ltd. These printers offer state-of-the-art technology and advanced features that enable high-speed marking and coding operation. These non-contact printers are suitable for a number of product identification applications such as food, beverage, tobacco, automotive parts, pharmaceuticals, cosmetics, electronics, wire and cable and construction materials. The Hitachi CIJ printers offer reliability, ease of use and low maintenance for the best in value and total cost of ownership. The printers’ low-wear design and superior ink circulation system provide increased up-time, reduced operator intervention and minimum maintenance. 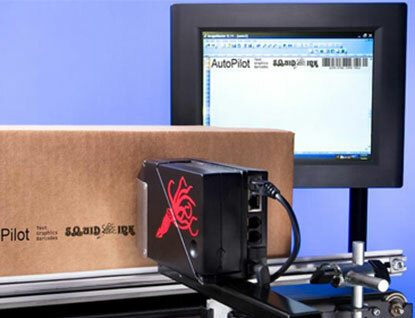 And the ink system yields the lowest fluid consumption of any inkjet printer on the market. Now that’s value from Colorado Scale Center!